This tube could come un-boxed. 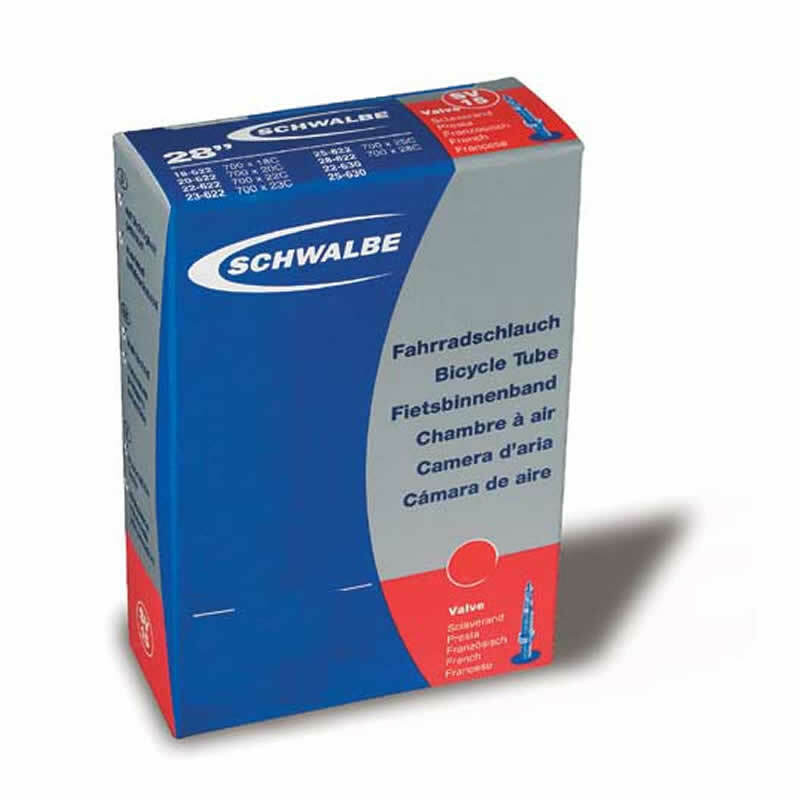 As always Schwalbe has good quality tubes and airtight valves. But hope they have 60mm valve length for my deep profile rims to avoid extenders. Good inner tubes at a good price. Merlin is one of the few stores which sells the Schwalbe 20" tube with a Presta valve at a reasonable price. The usual quick delivery for a quality product. Thank you. These are my go-to tubes for my 20 inch Tern wheels. Schwalbe - as expected; Inner tubes from Schwalbe are always good. It's great. Best price I could find online. Haven't had a puncture in months. Schwalbe - they simply make some of the best tires going. Have been using duranos and marathon supremes as my lasts few tyres - amazingly happy with both. The marathons have taken an absolute beating on my commute - huge chunks of rubber taken out by metal and glass shards (yes my commute covers some crappy terrain) and only two tiny punctures in 10 months of cycling - that's a minimum 150km a week for that time. The duranos, whilst not quite as puncture proof (but not used for my commute, so who cares) are not bad - I'm yet to get a flat - and are fast and seem to last forever. The tubes hold pressure reasonably well. Certainly at least as well as any other tube I've used in the past. They're not as light as some, but hold the air better - I re-inflate once a week on Monday morning and often find they have barely dropped in pressure. If you're after superlight racing tubes look elsewhere. If you want reliability then these are fantastic. Never had a problem with anything from Schwalbe and see no reason to change any time soon.